I’ve had these target vases for years now. Gotta love their dollar section! I love stacking different pieces and textures together! 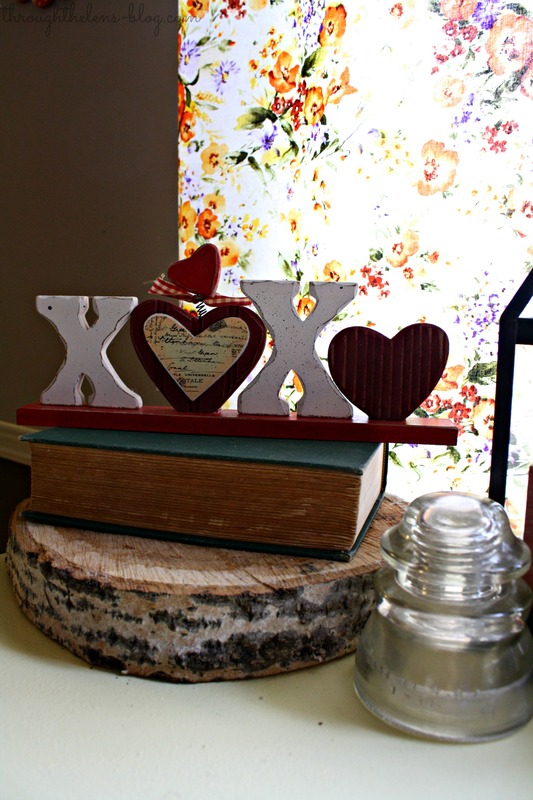 My woodstump, vintage book and Valentine’s Day sign from Hobby Lobby just all go together. 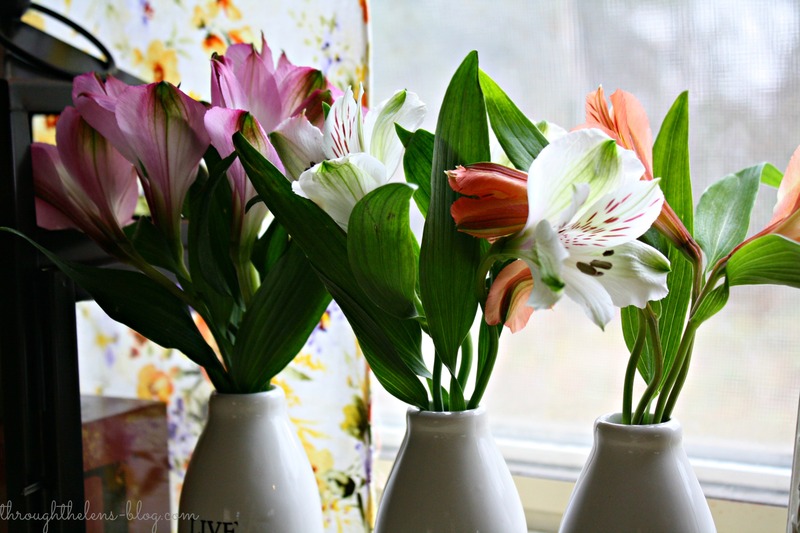 My amazing man brought home a massive bouquet of flowers a couple days ago…I was able to put some on the kitchen table, and here on the vignette! This figurine is from our wedding– it was our wedding cake topper. 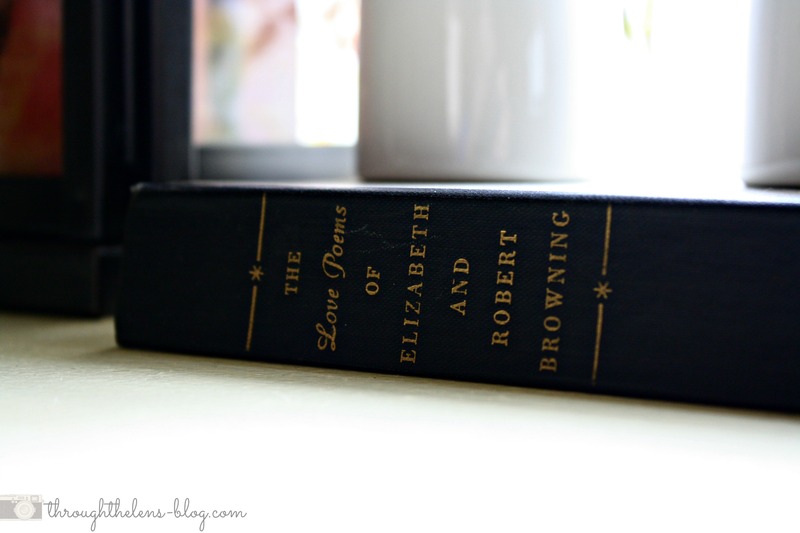 This is the book underneath the Valentine’s Vases. I love these poems! Have you decorated for Valentine’s Day yet? What’s your favorite part of the holiday? Honestly, I have never thought about decorating for valentines day! But it looks like such a cute idea! I love your willow tree couple. We had that on top of our wedding cake 🙂 thanks for these awesome ideas! This is so cute! I’m collecting ideas for decorating for all the holidays next year, since I will hopefully be in a more permanent house. 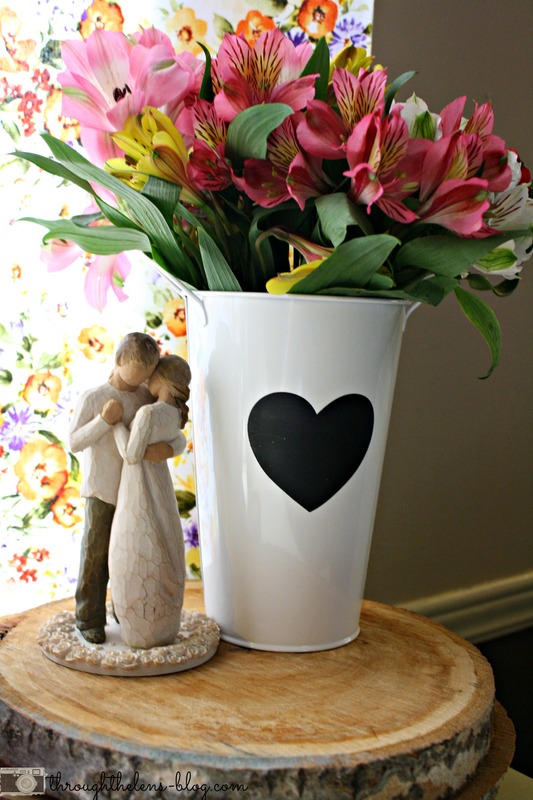 I really like the idea of decorating for Valentine’s Day! 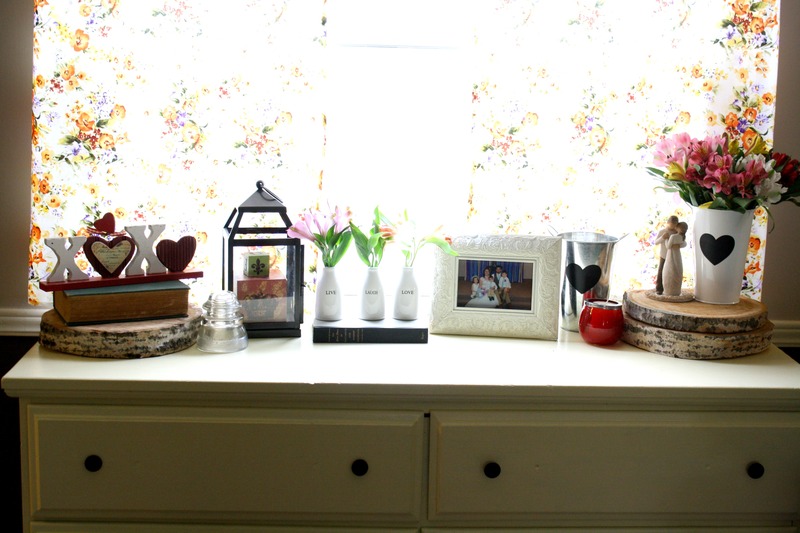 You did a great job of making your vignette look pretty and not cheesy. So cute! I wish I was better at decorating. You have a good eye. I LOVE this! 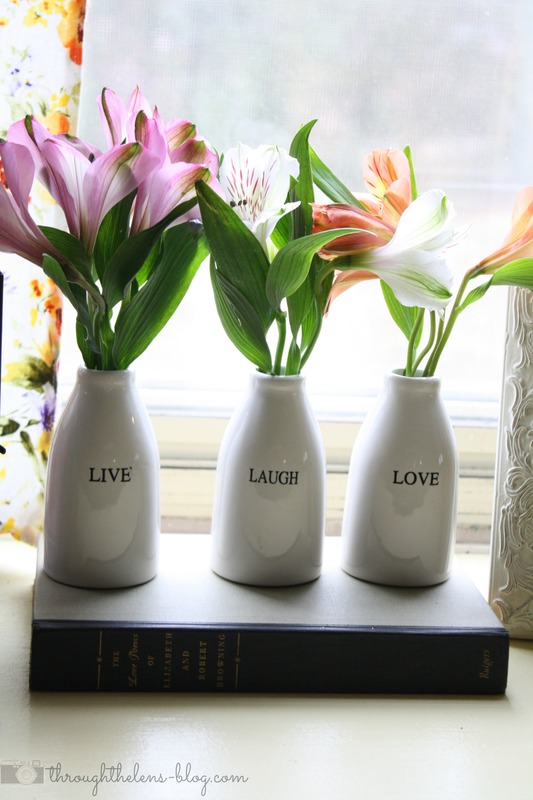 Especially the vases!